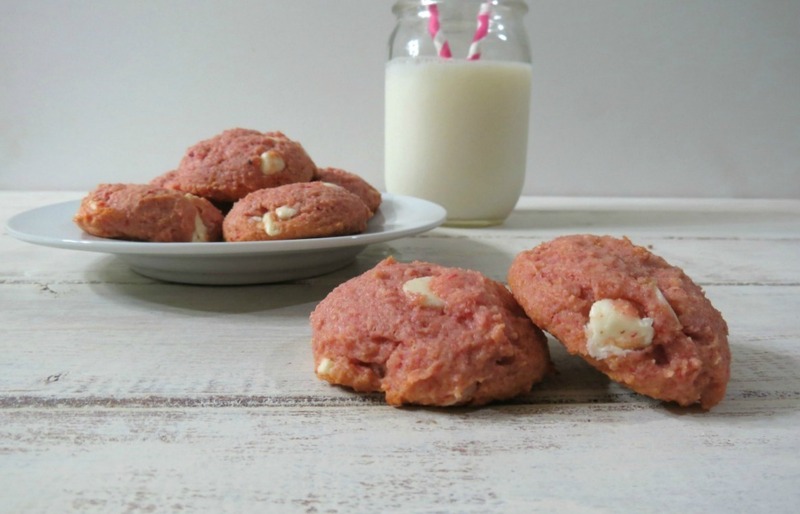 Today I have for you a simple, wonderful, fun recipe that is sooooooooo easy to make!! The only problem I had with this little snack bar is the photographs. I took pictures of them on three separate occasions and they wouldn’t photograph for me. I picked the best ones, but they are not great! So believe me, they taste way better than they look. 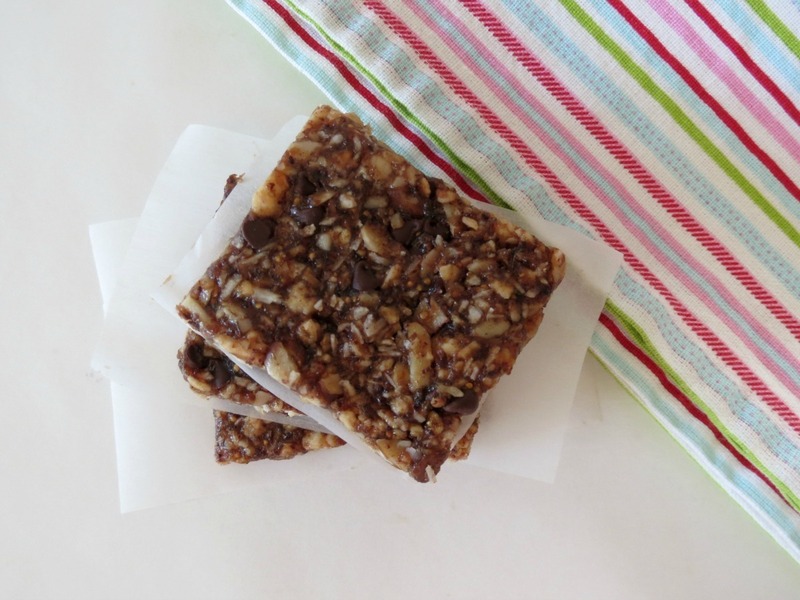 I made these No Bake Granola Bars with my Husband in mind. I thought I could make a healthier type snack that he would love. Then when I put them together, I thought, no way will he like these. These bars are truly like a Larabar, they are made with a fig paste, almond butter, maple syrup, coconut, chocolate chips and granola. The texture of them is chewy and slightly sticky. Yah, these are my kind of bars, not my Husband. But I cut off a thin piece and asked him to try it. His first reaction is are these suppose to be cold and sticky? I told him they were in the refrigerator and yes they are slightly sticky. He took a bite and I was waiting for that dreaded face I always seem to get and here it comes the look, he looked at me and said they aren’t bad. I just about fell over!! He said they taste like a chewy, sweet granola bar. Wow!!! I was shocked!! He said he will take them to lunch this week! Sure enough he took them all and ate them. Sometimes he really surprises me. These bars were one of those random type recipes that I put together not knowing what the outcome would be. I had a bag of figs, so I threw them in my food processor, added some almond butter and to sweetened it up I added maple syrup. I had a bag of granola that I got from my Nature Box and mixed that in and of course a granola bar isn’t a granola bar without chocolate chips. The bars came together really easy. I just spread the batter out on a baking dish and put them in the fridge. Easy, peasy!! They are quite a simple and a tasty little treat. I knew they were for my Husband, but I did cut slivers off of every piece so I could have some. he he Just don’t tell him. 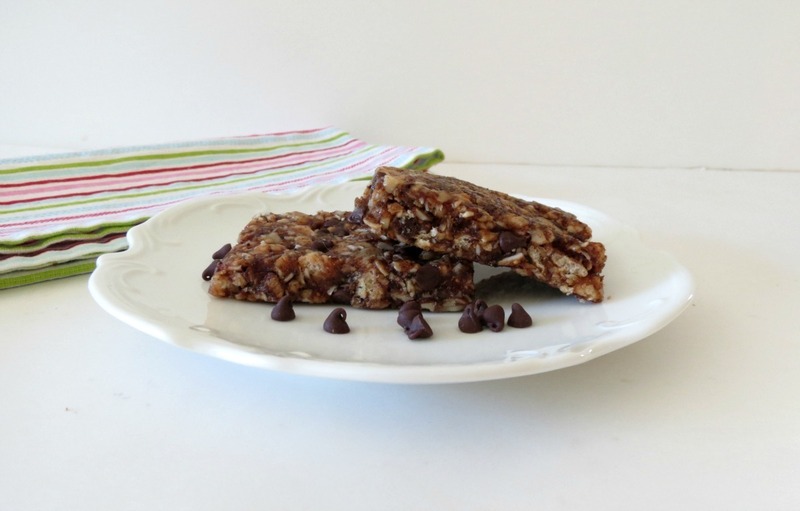 A sweet, chewy, no bake granola bar made with almond butter, maple syrup and almonds. Line an 8 x 8 baking pan with parchment paper. Spray with cooking spray; set a side. In a food processor add dried figs and process until a thick, sticky consistency. Add fig mixture to a large bowl, add maple syrup, almond butter and vanilla extract (if almond butter is not drippy, microwave for a few seconds). Mix until incorporated. Add slivered almonds, granola and coconut and mix well. Mix in chocolate chips and pour into prepared baking pan. With a back of a spoon or your hands, sprayed with cooking spray, spread the granola and press down until packed in the pan. Place granola bars in the refrigerator to harden a bit, but please note these bars are pretty soft. Cut into bars and store in an airtight container in the refrigerator. After I calculated the nutritional value, I realized the bars may be a little high on the sugar side. All of my ingredients except for the chocolate chips are natural and real. I’d rather eat natural type foods then processed ones. Plus I know this is better than the junk my Husband normally eats, which is a pound of peanut M&M’s. Yes, he eats a pound in a sitting. How he doesn’t gain weight, I just don’t know?? 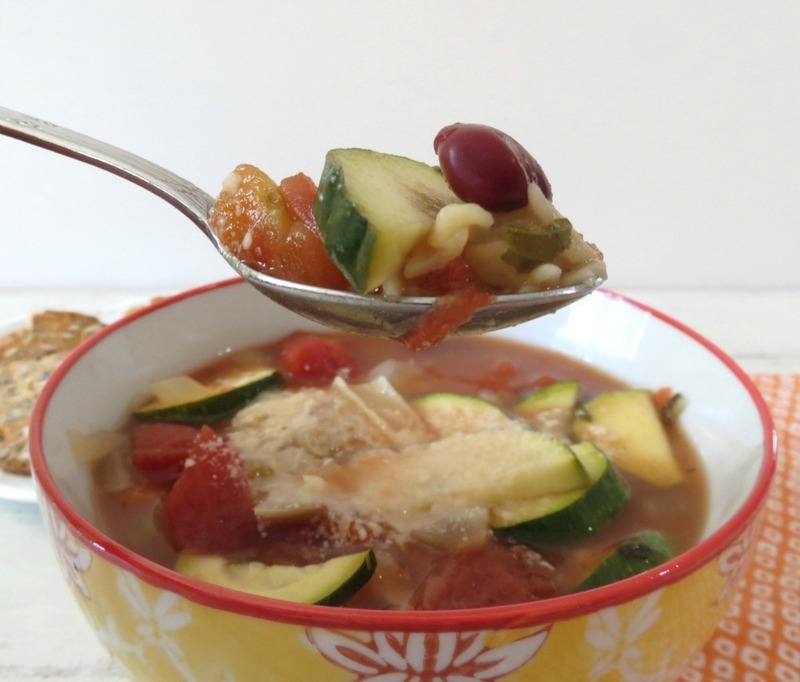 Sunday: Minestrone Soup #Sunday Supper – This is a wonderful soup that is perfect for using up spring vegetables. You can add asparagus, peppers and other spring veggies that you love. It’s great to come home from work and have dinner waiting for you. I just love using the Crockpot! Monday: Razzle Dazzle Pineapple Smoothie – I have been enjoying making new and fun smoothies for Mondays. I have so many friends that are replacing one or two meals a day with a smoothie. I think it’s a great idea and I have been trying to do that for breakfast. 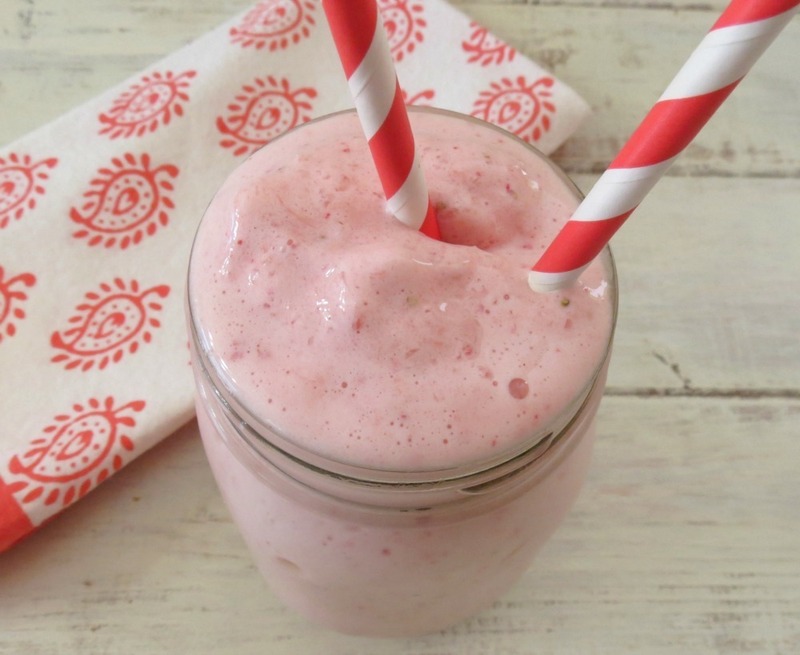 This smoothie is loaded with flavor and is healthy! You can’t beat that! 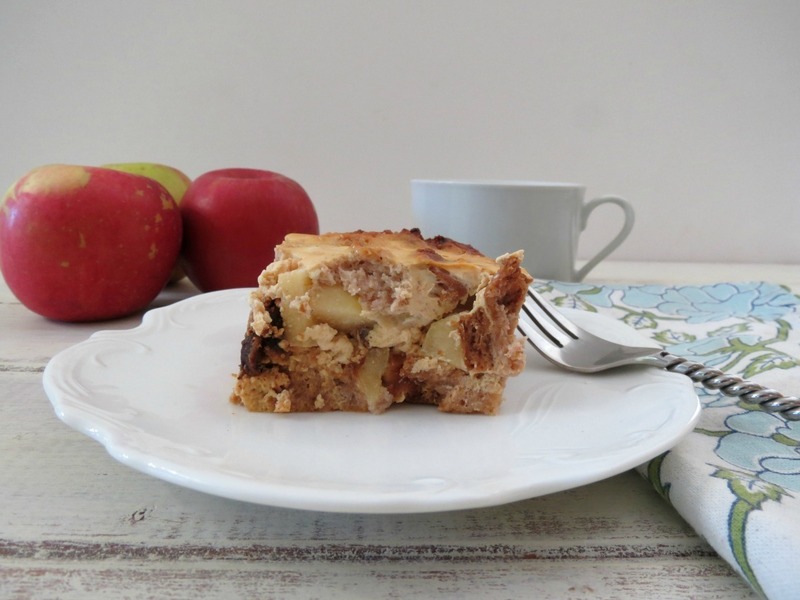 Wednesday: Cinnamon and Apple Baked French Toast – This french toast is amazing! A huge hit with my family and it’s gluten free! I honestly couldn’t believe how good it was! This is one recipe I shall be making again. The sweetness from the apples and cinnamon plus the vanilla extract and yogurt, yum! It’s so simple to make too! I whipped it together in a matter of minutes. Plus a big bonus, under 200 calories!! 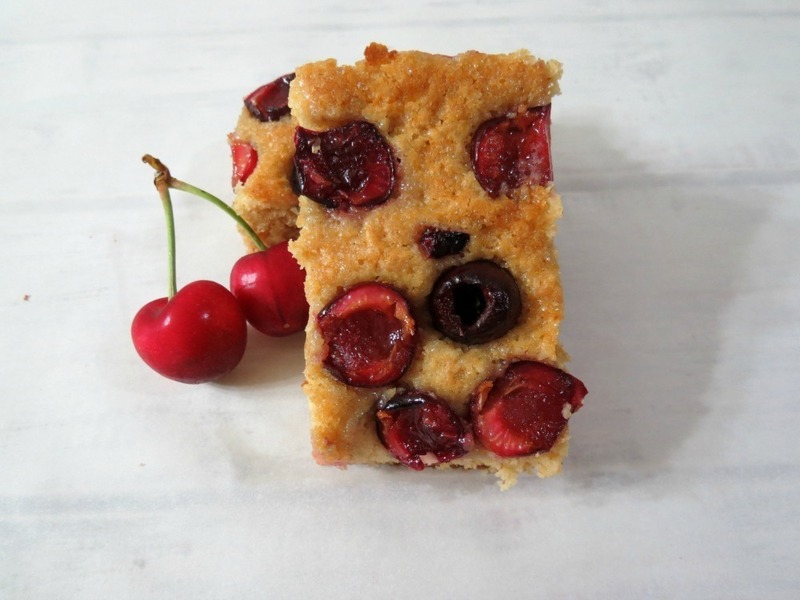 Thursday: Cherry Coffee Cake – I am loving cherry season and before it ends I need to go cherry picking again. I love this little cake and I love the cherry quick jam I made too. This is a great, quick recipe for those who love cherries. I think it took longer to pit the cherries than making the cake! Friday: Southwest Apple Butter BBQ Sauce – All I can say is it’s an amazing BBQ sauce and so easy to put together. I had left over BBQ sauce and chicken and I made the most awesome BBQ chicken sandwich ever! It’s sweet and savory with a slight kick of heat! I just love it! 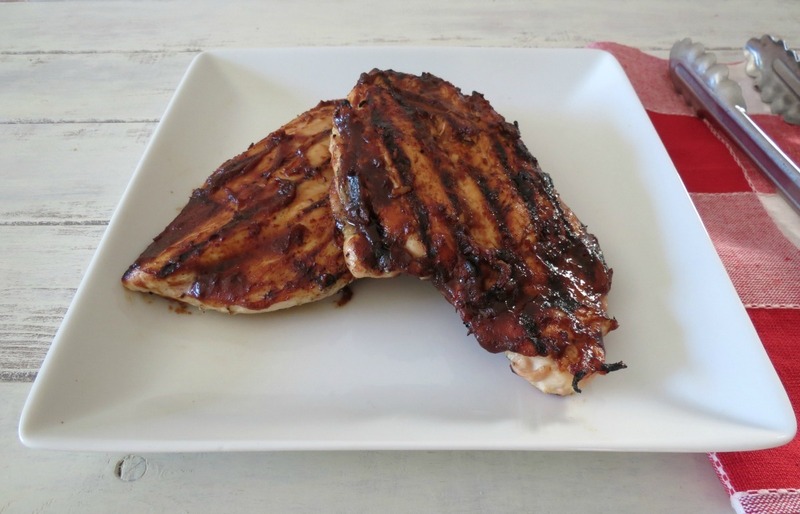 Nothing screams summer like homemade BBQ sauce and grilling chicken!! By the way don’t forget to enter my giveaway! Well my Friends this has been one random week and I have a feeling next week will be the same. My goal is to try to use up what I have on hand. It kind of makes it fun to come up with recipes doing it this way! I love to challenge myself. I normally look and think I have nothing to make, which isn’t true! I have a pantry stock full of goods that I haven’t even tried, so this week my goal is to step out of the box and try something new! Have a wonderful Memorial Day Weekend!! Now don’t forget to enter my Musslemans Apple Butter Giveaway! P.S. 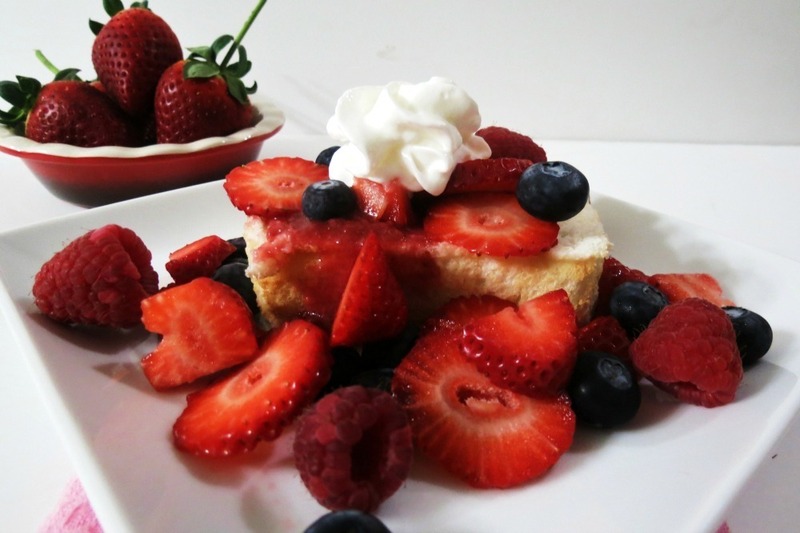 This weeks craving is Angel Foodcake! I am so making this, this week!! Mmmmm yumyumyum these granola bars are right up my alley, and with summer coming I love that they’re no bake, too! Woohoo on getting the husband to eat them! MAJOR win. I love larabars so I know I’d adore these! 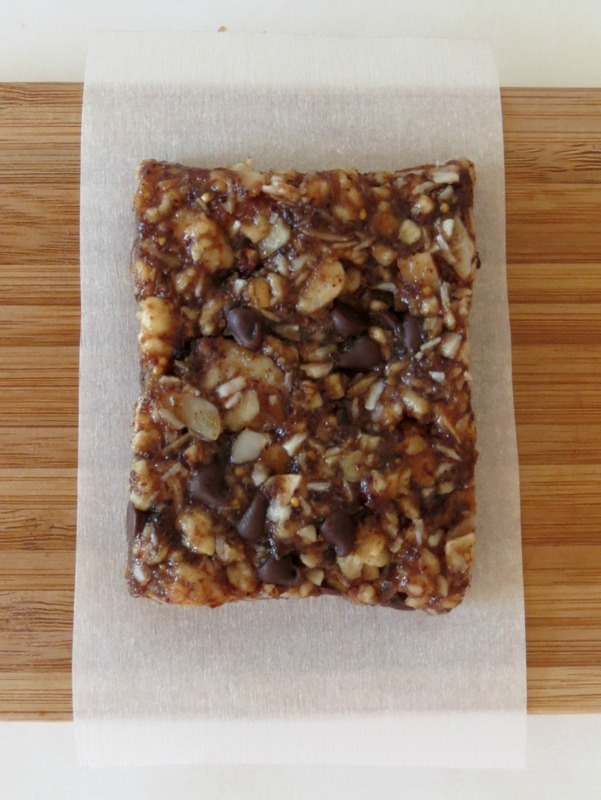 I love nobake granola bars and yours are just packed with all kinds of good things and great texture. Delish, Jen!